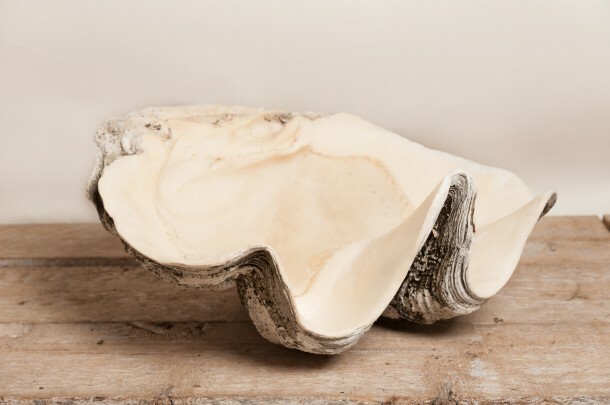 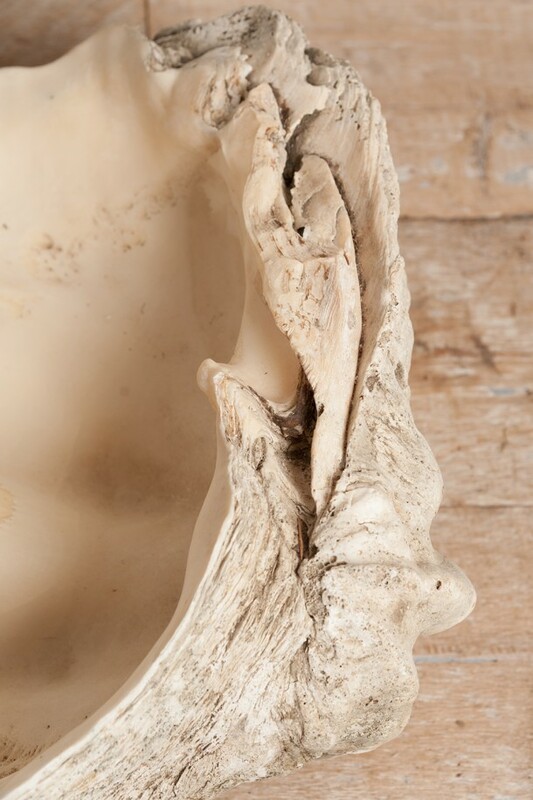 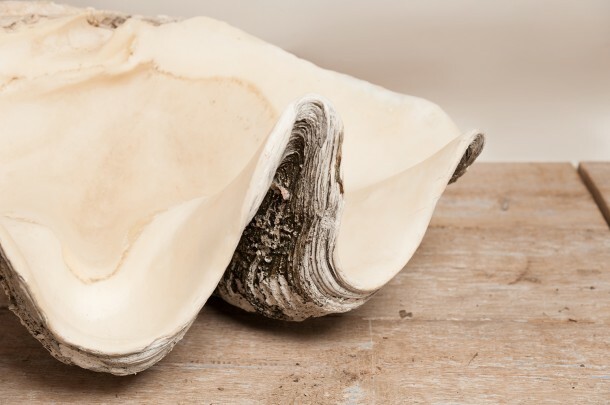 From a private antique collection, a very unusual giant clam shell. 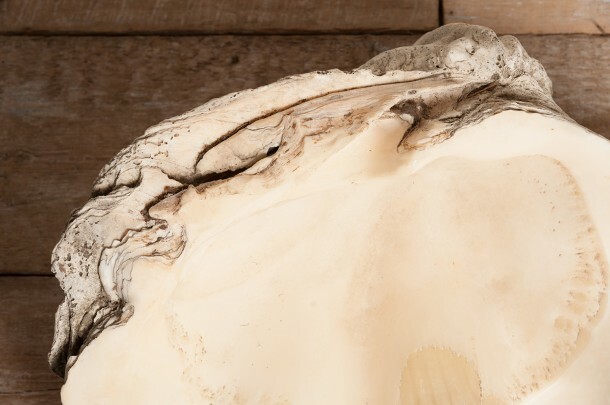 The layers upon layer are exceptional and could only form with age. 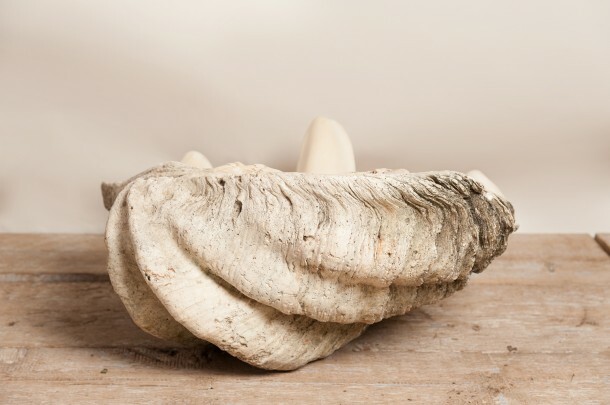 This is a heavy clam shell in exceptional condition with no breaks to the teeth.